Heart-shape solitaire pendant. 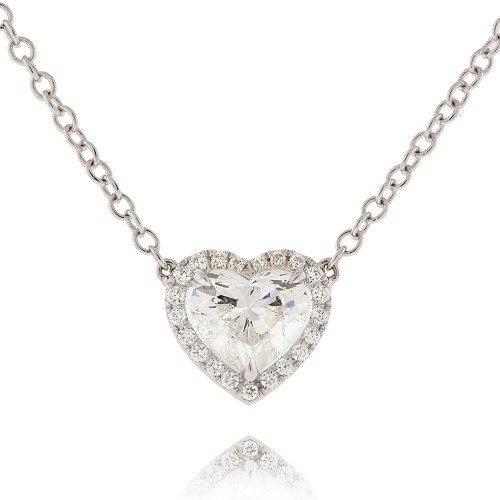 Center heart-shape diamond necklace bordered by round white diamonds set in an 18k white gold mounting on a rolo chain. Diamonds approx. 1.12 ct. Chain 16".